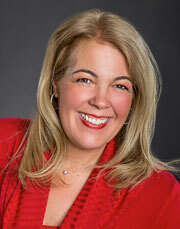 A native of Fairport and graduate of Cazenovia college, Karen joined Premium Mortgage in April of 2000. In the time since, Karen has become a vital part of our team by combining her extensive mortgage processing experience with her superior customer service to become an invaluable Loan Officer. Realizing that flexibility is often the key to securing her clients the best mortgage possible, she maintains a schedule that allows for appointment times that are convenient to her client – even if that means meeting after traditional business hours. My wife and I just purchased our first home in Brighton, NY. Courtney Mattice and Karen Haberer worked super hard to make our dream come true. I’m sure we were one of those “problem” kind of clients, but they expertly navigated us through the incredible landmines that is home buying, and closed on our home right on time. Couldn’t recommend them enough, I don’t think we would have made it through it all without them! My wife and I just closed on our new house, we worked with Karen Haberer-Gallagher at Premium Mortgage for our Home Loan, she was incredible during the entire process. She explained everything throughout the process and answered any questions my wife and I had. Anytime we had questions, no matter who we called, she answered. If she didn’t, she followed up with us that day. Premium Mortgage’s slogan on their truck out front is “The EXPERTS in home financing” – it rings true 100%… these people know what they’re doing. I would recommend them to anybody 100 times out of 100 if they asked where to go for a home loan. Best mortgage company in Rochester! As stressful and exciting as it is to buy a new home, I got the answers I needed immediately working with Karen Haberer and her team at Premium Mortgage. Not only did they respond to my emails within minutes, they assured me of all my worries I had and did everything in their power to make this a painless transaction. I couldn’t recommend them enough to anyone looking for the best service you will ever receive in a mortgage service!! !